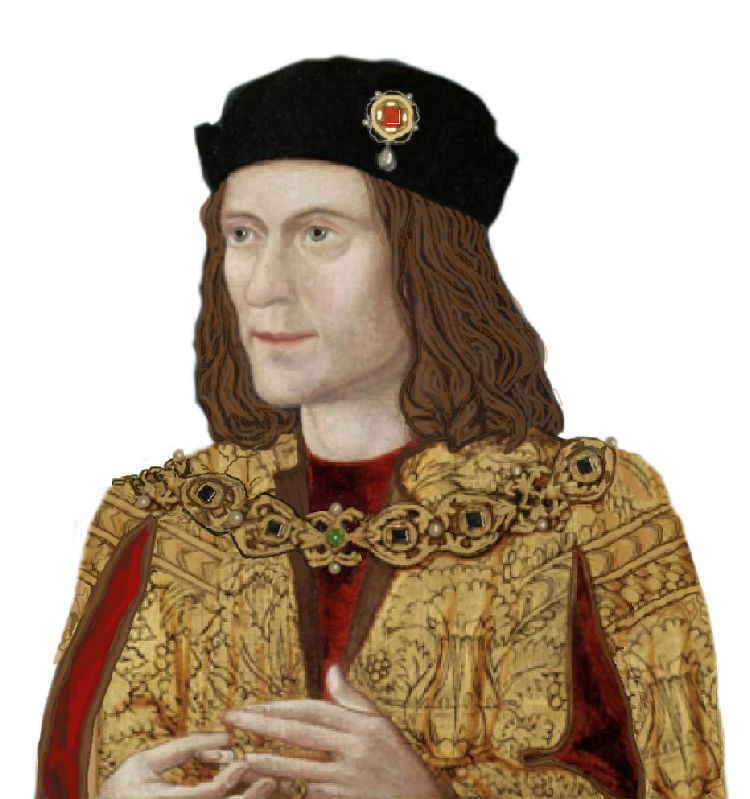 When Ricardians come across the title Duke of Buckingham, they immediately link it to Henry Stafford who was the second Duke of the first creation of this Dukedom and the prime suspect in the disappearance of Edward V and Richard of York, better known as the “Princes” in the Tower. The Dukedom of Buckingham has been created four times so far and it could be wise not to attempt again. Why? If we examine all the creations, it is evident that every second Duke was not a lucky one. The first creation happened in 1444 and the title was granted to Humphrey Stafford, succeeded by his grandson Henry Stafford, who was beheaded for high treason in 1483. With his death the Dukedom was under attainder until Henry VII re-established it again in 1485. Anyway, the third Duke was executed in 1521. As regards the second creation, the title was given to George Villiers in 1623, but he was assassinated six years later. His son, the second Duke, died suddenly after a hunt, having caught a cold. After his death, the second creation came to an end too. In 1703, the third creation was for John Sheffield, 3rd Earl of Mulgrave. He was succeeded by his son Edmund who died of tuberculosis in Rome in 1735. Once again, the Dukedom of Buckingham was declared extinct due to the lack of male heirs following the death of the second Duke. However, the most intriguing creation was for sure, the fourth. It took place in 1822 when the title of Duke of Buckingham was granted to Richard Temple-Grenville, 2nd Marquess of Buckingham. Having married Lady Anne Eliza Brydges the only heir of James Brydges 3rd Duke of Chandos, he became the first Duke of Buckingham and Chandos. Richard Grenville had a very luxurious life and he was incredibly rich. He was a collector of minerals, insects, inkwells, marbles and every sort of objects suitable for a collection. He also was the owner of the magnificent Stowe House (below) in Buckinghamshire, now a well-known boarding school. Stowe House was also known as the ‘twin sister of Buckingham Palace’ so it is not difficult to imagine it truly was a fantastic estate with a huge park, rivers, lakes and 33 temples. But the lavishness of Richard and the expenses to refurbish and enlarge Stowe House started the financial fall of the Grenvilles. In 1827, overwhelmed by debts, he decided to escape from creditors starting a journey to Europe, especially to Italy, on a fabulous yacht built for the occasion with money lent from the bank. When Richard died in 1839, the title was inherited by his son Richard Plantagenet (top – does this name remind you of someone?) who was normally called Chandos by family and friends. Chandos became the second Duke of Buckingham and Chandos and for the forth time the second heir to the title was a problem for his family. Handsome, conceited and wasteful, he brought his family to the bankrupt and forced to sell all his possessions, including some unique items, at auction in 1848. One of them was a lock of Mary Queen of Scots’ hair and another was a very precious coat of arms Chandos had commissioned for £400. In this coat of arms (left), the Duke showed his links to an incredible number of noble families. Its cost was outrageous and at the auction it was bought for £70, still a very high price! The amount of debts the Duke had accumulated was about a million pounds, worth £83.9 million as of 2018!! Richard Plantagenet, a Tory Member of Parliament, was appointed Lord Privy Seal, a Knight Grand Cross of the Royal Hanoverian Order, Fellow of the Society of Antiquaries and a Knight of the Garter. Thank to the position he held in the society of his time, he could divorce his wife in 1850 and hyphenate his family name as Temple-Nugent-Brydges-Chandos-Grenville to include his wife’s surname. He had two children and several illegitimate children in different part of Europe. When Chandos died in 1861 his son, another Richard Plantagenet who served as Governor of India for five years, could just inherit the sins of his predecessors and, although he married twice, he died without a male heir so the fourth and last creation of the Dukedom of Buckingham came to an end in 1889. Many of you are still wondering why the first and second Dukes decided to name their sons Richard Plantagenet. The answer is that the Grenville family descended from Mary Tudor, daughter of Elizabeth of York, passing by Lady Jane Grey’s sister Lady Catherine. It seems that the Grenvilles were very proud of their Plantagenet descent. The present (13th) Lady Kinloss is Teresa Mary Nugent Freeman-Grenville, born in 1957 and daughter of the late 12th Lady Kinloss, Beatrice Mary Morgan-Grenville, who in 1968 was announced to be claimant to the throne of England, a claim she hadn’t have accepted ‘for all the tea in China’ to say in her own words. Some strange facts can be associated with the Grenville family. The second Duke, Richard Plantagenet, was educated at Oriel College (maybe there was an Oriel window there?) and his mother Anne Eliza, was born in Sudeley, Gloucester. Beatrice Mary Morgan Grenville 12th Baroness Kinloss lived in a cottage at the back of Sheriff Hutton Castle. One member of the huge family of the Dukes of Buckingham and Chandos, was named George Neville-Grenville and was a Dean of Windsor. He was the grandson of Richard Neville Aldworth Neville which maternal uncle was Henry Neville Grey. Sounds familiar? 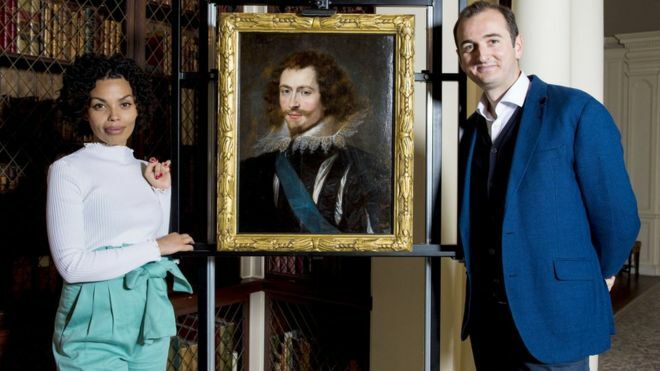 This very informative BBC documentary, presented by Dr. Bendor Grosvenor, showed how a portrait, presently on display in Glasgow, was proved to be an original Rubens. George Villiers, 1st Duke of Buckingham, was a courtier and soldier, serving under both James VI/I and Charles I as well as being a possible partner of the former. He was assassinated in 1628 and the portrait (left) dates from about three years before this. Villiers’ line fared no better than their predecessors in their tenure of the Buckingham title. Just as two of the three Stafford Dukes were executed and one killed at Northampton over their 67 years, Villiers’ son went into exile in France after serving in Charles II’s “CABAL” – he left no male heir and both his brothers had already died without issue. The title was recreated, with Normanby, for John Sheffield in 1703 but his male line expired in 1735 whilst Richard Grenville’s family held it, with Chandos, from 1822-89.